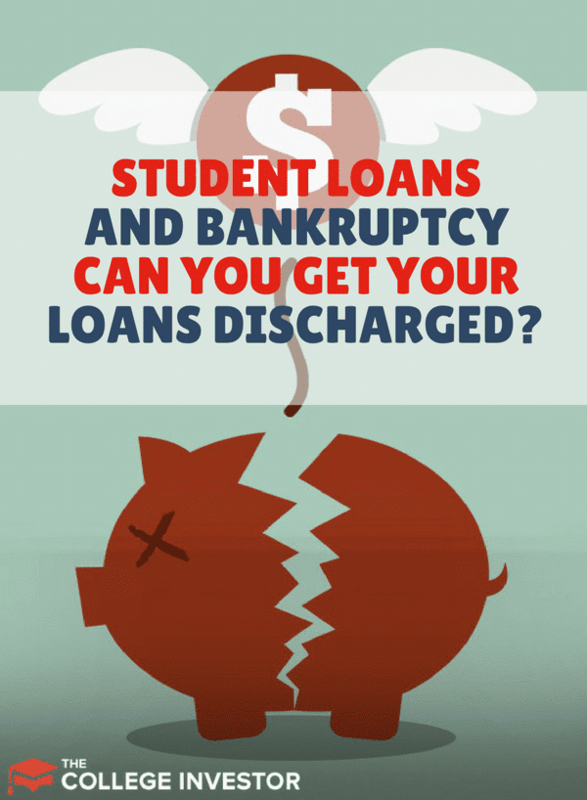 Home » Can You Get Your Student Loans Discharged in Bankruptcy? According to an analysis performed in 2017 by the Brookings Institution, nearly 40% of students may default on their student loans by 2023. It's important to note that you can get your student loans discharged in bankruptcy, but it can be a very difficult process. There isn't anything straightforward about what leads to discharging your student loans during bankruptcy, and sadly, many lawyers (even those that specialize in bankruptcy) do not always know the proper steps to make it happen. In general, if you are unable to meet minimal standards of living, there is a chance your loans could be discharged, restructured, or have a payment plan put in place. This is actually one area that Trump has proposed to improve when it comes to student loan forgiveness. Before considering bankruptcy, be sure you have exhausted all options by first trying to work out some arrangement with your loan servicer. 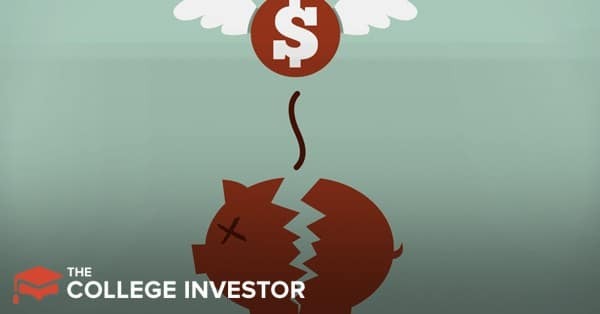 If you are employed by a government or a not-for-profit organization, check with the Public Service Loan Forgiveness Program for any forgiveness options. In this article, you'll learn what goes into including your student loans in a bankruptcy. You might be surprised to know that even after filing for bankruptcy, your debts may not go away. Instead, different arrangements will be made in an effort to pay back debtors. Even after going through bankruptcy, you can be left owing much of the original debt. Most people file for chapter 13. It is oriented toward consumers while chapter 11 is used by businesses and individuals with complex debt structures. With chapter 13, the court tries to arrange payment plans that an individual can work with. A chapter 13 bankruptcy will stay on your credit for seven years. Chapter 7 attempts to liquidate your assets in an effort to pay back creditors. It will remain on your credit for 10 years. Specifically for student loans, you must qualify for undue hardship to have any chance of affecting what is owed on your student loans. "You cannot maintain, based on current income and expenses, a minimal standard of living for the debtor and dependents if forced to pay off student loans." "Additional circumstances exist indicating that this state of affairs is likely to persist for a significant portion of the repayment period of the student loans." "You have made good-faith efforts to repay the loans." Meeting the Brunner test doesn't mean your loans will be discharged. Your individual situation still comes into play. The vagueness of undue hardship leaves room for interpretation by courts. Furthermore, given the myriad of options like income-driven repayment plans that could allow for $0 per month payments, actually having an undue hardship is hard to prove. The Department of Education is seeking a request for more information on the “undue hardship” definition and scenarios that fall under it. The first step is finding a bankruptcy attorney that can complete the entire filing process with you. The next step is to file an "adversary proceeding,” which helps define if you have an undue hardship. Next is to file for bankruptcy, which must be decided in an adversary proceeding in bankruptcy court. Your creditors might be present and challenge the request. "Your loan may be fully discharged, and you will not have to repay any portion of your loan. All collection activity will stop." "Your loan may be partially discharged, and you will still be required to repay some portion of your loan." "You may be required to repay your loan, but with different terms, such as a lower interest rate." As you can see, just like a bankruptcy filing, the final outcome of discharging student loans can actually leave you still owing on a student loan. If the outcome of bankruptcy still leaves you making large payments on your student loans, let the loan servicer know your situation and that you need to reduce your payments. At this point, your credit has probably already been ruined and not paying on a student loan isn't going to make much difference. The last thing a loan servicer wants is for you to stop paying altogether. But when it comes to food and shelter vs. paying a student loan, the decision isn't difficult. If you're filing for bankruptcy, it's unlikely you can afford an attorney. Legal Services Corporation can help. They are a nonprofit and help with civil legal aid for low-income Americans. If you don't know where to find an attorney, you can check out our article on finding a lawyer for your student loan debt.